Rain barrels have gained quite significant popularity among those who care about the environment and/or those who simply want to save some money by saving rainwater. For either reason, harvesting rain gives you more advantages than losses. Do you have one at home? If you haven't, you might want to consider having one now, or two or more. Let's take a look at the advantages of harvesting rainwater from rain barrels. The most obvious one is some money is saved every month. City water is used just for oral consumption and other hygienic stuff. While other water usages like watering the garden or flushing toilet, we can use the collected rain water. This will definitely cut your water bill. Another advantage is your garden plants will be a lot happier fed with rain water. Why? Because rain is natural soft water having hardly any elements in it; no minerals, fluorides or whatever chemicals people or earth put in it. The grasses, the trees and the bushes love this! You will see more flourishing garden when you have rain barrel than when you don't. Not bad for something you get for free, right? Where can I get rain barrels? It seems that you are convinced already. 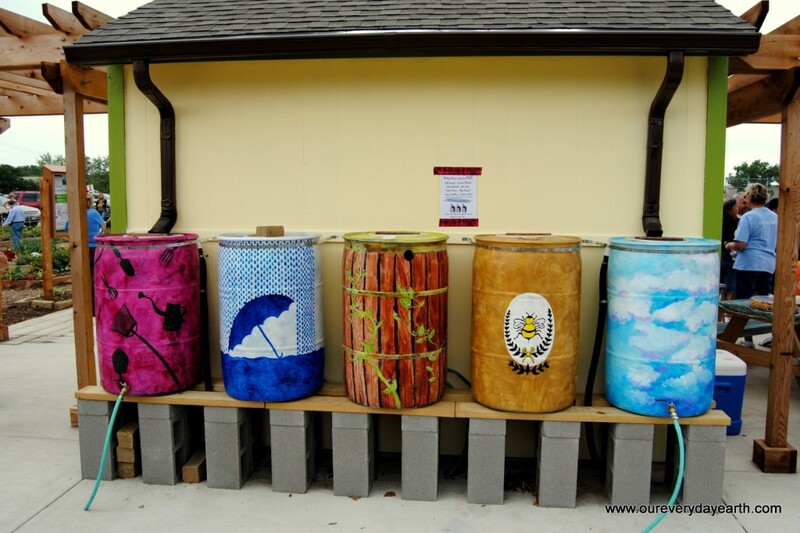 You can get ready made rain barrels or you can make them yourselves. If you don't want to waste your time making one, a rain barrel can be purchased for as low as $79.95. That is a rain barrel that uses 55 gallon reconditioned drum. There are choices depending on the size, the look, and the materials of the barrels. See here to see your options. If you have the time and are actually intrigued to craft the rain water barrel yourself, here is a great DIY video I found on YouTube. The guy uses multiple barrels to save even more water for the not so rainy days; but of course you can always choose to have only one. It's pretty easy. So why not add an artistic touch to it? Grab some colorful paints and showcase your best painting skill with the family! The kids will absolutely love it. 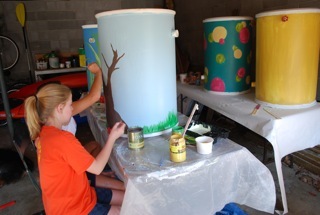 They may not turn out as cool as these rain barrels below, but they will surely be an awesome reminder of how much fun you have with the family.